Property 1: Book now for Spring! Cozy condo with shared pool and hot tub moments away from the beach! Property 2: Cozy condo with shared pool and hot tub moments away from the beach! Property 3: Chateau La Mer 16A, 1BR/1BA recently updated condo! Close to the beach! If It's The Beaches...Luxurious 3 Bed, 2 Bath Condo, Only steps from the beach! Property 8: If It's The Beaches...Luxurious 3 Bed, 2 Bath Condo, Only steps from the beach! 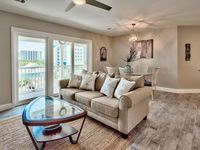 3BR/3BA Bright & Beautiful 'Newly Renovated' Beach Condo!! Property 10: 3BR/3BA Bright & Beautiful 'Newly Renovated' Beach Condo!! All About The View - Destiny Beach Villas! Crystal Beach! Community Pool! Property 12: All About The View - Destiny Beach Villas! Crystal Beach! Community Pool! CORAL REEF CLUB~Walk DIRECTLY onto the Beach!~1st Floor~Designer's 5 Star Rated! 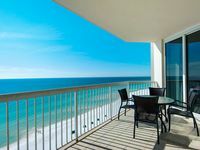 Property 14: CORAL REEF CLUB~Walk DIRECTLY onto the Beach!~1st Floor~Designer's 5 Star Rated! Beautiful Views! Come on down for Spring! Book soon or miss out! Property 19: Beautiful Views! Come on down for Spring! Book soon or miss out! Paradise at the Palms * Summer Specials! Book Now! 2 King Beds~2 Full Baths! Property 23: Paradise at the Palms * Summer Specials! Book Now! 2 King Beds~2 Full Baths! Palms Resort 2413 Jr 2BR/2BA☀OPEN May 4 to 7 $764!☀4th FL Views! Lagoon Pool! Property 24: Palms Resort 2413 Jr 2BR/2BA☀OPEN May 4 to 7 $764!☀4th FL Views! Lagoon Pool! ☀Palms Resort 1614 Jr 2BR☀ Lagoon Pool & FunPass! OPEN Apr 22 to 24 $581! Property 26: ☀Palms Resort 1614 Jr 2BR☀ Lagoon Pool & FunPass! OPEN Apr 22 to 24 $581! HSR 402 is a Luxury 2 BR - Completely Renovated and stunning in its decor Sleeps 6 and on the beach! Property 29: HSR 402 is a Luxury 2 BR - Completely Renovated and stunning in its decor Sleeps 6 and on the beach! Remodeled! ON THE BEACH* Amazing Gulf Views! Property 30: Remodeled! ON THE BEACH* Amazing Gulf Views! Palms Resort 1813 Jr 2BR/2BA☀OPEN Apr 26 to 28 $599!☀LagoonPool! 8th FL Views! Property 35: Palms Resort 1813 Jr 2BR/2BA☀OPEN Apr 26 to 28 $599!☀LagoonPool! 8th FL Views! ~Beach Vibes Only~ Cozy and Steps from the Beach! Free Golf! Property 36: ~Beach Vibes Only~ Cozy and Steps from the Beach! Free Golf! Guests are sure to enjoy a memorable vacation in this cozy furnished condo! Property 39: Guests are sure to enjoy a memorable vacation in this cozy furnished condo! Palms Resort 11207 Jr 2BR/2BA ☀OPEN Apr 19 to 21 $648!☀TopFloor Views+FunPass! Property 47: Palms Resort 11207 Jr 2BR/2BA ☀OPEN Apr 19 to 21 $648!☀TopFloor Views+FunPass! Harbor sunset views! Canal front condo. Location and Amenities. Property 48: Harbor sunset views! Canal front condo. Location and Amenities. My family and I stayed at this condo and it was relaxing well kept and very clean. The ocean view was amazing as was the patio we were able to relax on. What we liked most was the opportunity to have two umbrellas and four beach chairs. We did talk to the HOA about the east pool as it should have been heated and wasn't when we arrived it's supposed to be heated from March to August on the east side. Also, we actually found the furniture/bed in the guest room more comfortable so we decided to stay in their instead of the master. Overall we'd absolutely stay here again! Our stay was great. We enjoyed the rental condo, time at the beach, the boardwalk and the restaurants. Looking forward to next trip with VRBO.